A wet first day at the season opener in Melbourne meant a disrupted programme for the Lotus F1 Team, with Räikkönen – who suffered a re-occurrence of the power steering issues from Barcelona – and Grosjean completing just 15 and 27 laps respectively. 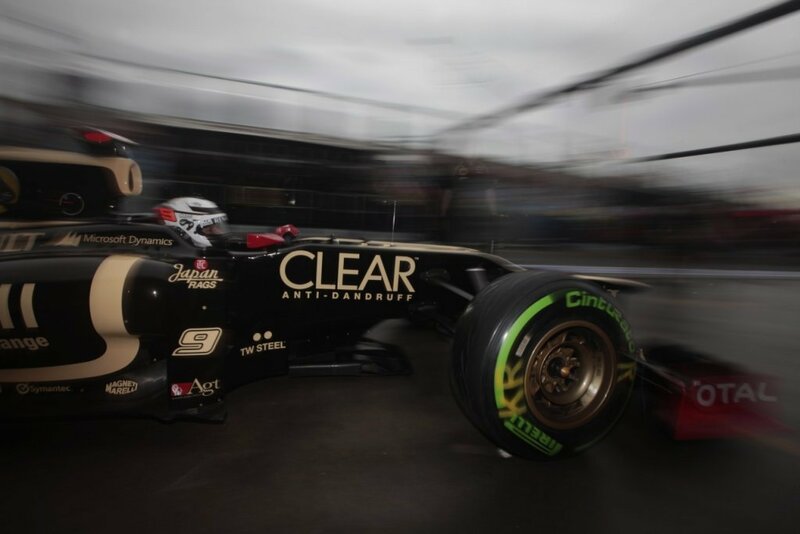 This entry was posted in Lotus F1 Team and tagged 2012, Australian GP, F1, Friday, Kimi Raikkonen, Lotus F1 Team, Practice, Romain Grosjean. Bookmark the permalink.